The AB20 is a mobile a blower for use with the puzzi range of carpet & upholstery cleaners. 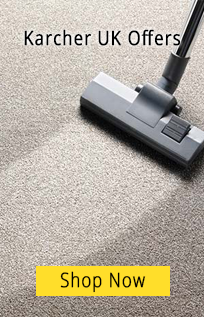 This blower will dry carpets up to 70% faster than with comparable products. It can be used to dry floors, carpets, walls in flood damaged areas such as basements, in the building trade for speeding up the drying process of concrete and paint and can also be used to remove smoke or fumes fast. Designed with air flow settings to suit the required drying application. The unit is designed in a robust plastic housing. Three speed fan moves up to 6000cm2 of air per hour - (level1: 56m3/hr, level2: 70m3/hr, level3: 84m3/hr). Compact design with intergrated transport handle and a 7.6m power cord storage for easy transportation. The large air outlet duct cuts drying time by up to 50% compared with drying naturally. Supplied with adjustable feet and clips to attach to carpets. The UK's largest Karcher Centers. for any further information not contained in this page. We are Floorcare and Industrial Specialists, covering the full range of Karcher Professional & Industrial Equipment from small tub vacs to Road Sweepers and Water Recycling Units. Since 1980 our onsite workshops and field service engineers have provided fast, reliable and friendly service.